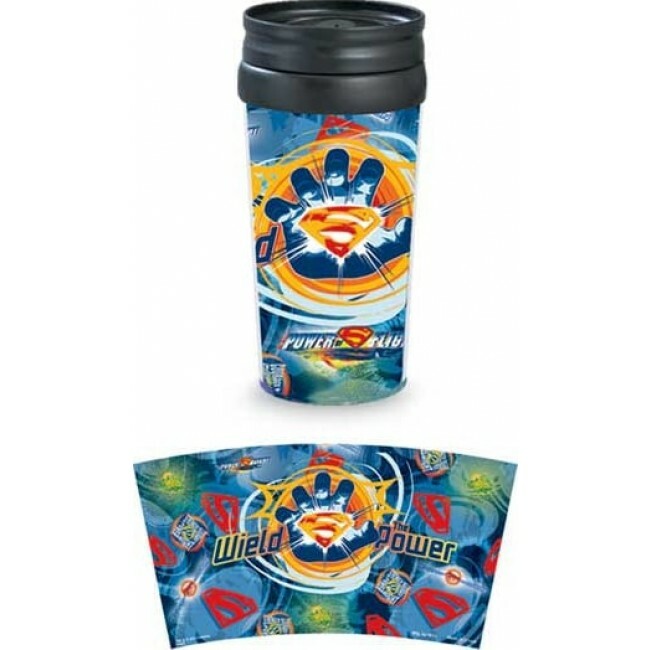 Superman Travel Tumbler Wield The Power. 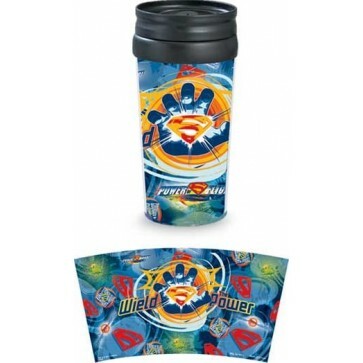 Great for coffee or hot chocolate on the go! Measures 7 inches tall.